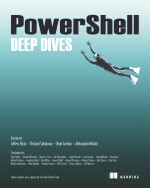 I don’t know very much about powershell yet. I am using your Get-Certificate.ps1 script to list certificates on windows servers. Is there any way to list the field in the certificate called signature hash algorithm? I need to find out the certificate is a SHA1 or above. I ran across your scripts while doing some research for WSUS. I’m inheriting a system that is already configured, and I’m trying to tell what updates were assigned to the various computer groups. I had a question, “Is there a way to tell what update is assigned to a Computer group?” It doesn’t matter if it’s using the WSUS client, or a PowerShell script. Thanks in advance. this reply form keeps removing and/or changing stuff ! Boe – Great powershell scripts! I was wondering if your script for auto discovery and agent push for SCOM (SCOMAgentAudit.ps1) runs on SCOM 2012 R@. Been running into some errors, not sure if user or compatability. Thanks! Let me know what those errors are. I can’t promise that I will have a fix for it because I do not have access SCOM 2012 R2, but can at least see what I can do.